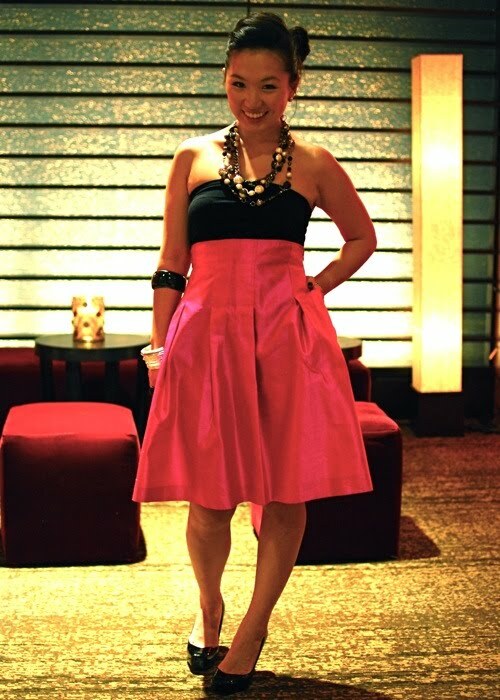 rachel from vuesociety looking pretty adorable in pink armani collezioni. i’m always a big fan of large accessories, especially with a bold color. you look absolutely adorable. so amazing!